About 2 years ago I watched it and didn't quite get it. More recently I saw it again and it simply blew me away. ive been meaning to rewatch eva...the first time i saw it was when i was in 8th grade some...10 or so years ago i think. since i was so young i just.did.not.get.it...at all...and i sorta hated it. so yeah i know i'd probably love it now but since it leaves such a bad taste in my mouth i havent been able to get back to it. ANYWAY...mostly im just happy you watch digibro as well i've been watching his videos for about a month now and i think he does a good job. I've been avoiding his eva videos for after i eventually break down and rewatch eva. 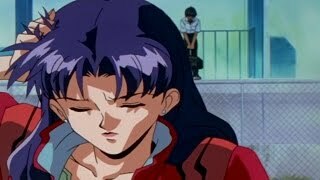 its odd that back when i saw eva i didnt relate to shinji at all despite being a similar age but now that im an adult i do relate to shinji a lot.